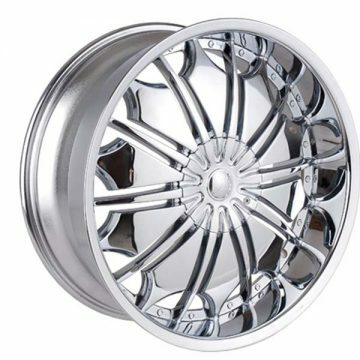 Tyfun’s extensive collection of one-piece cast aluminum alloy custom rims comes from the same family of wheels made by Velocity Wheel’s group of wheel brands. Several of the Tyfun styles use a unique plastic insert as a design element. Installed at the factory in a gleaming ebony finish, they’re simple to remove and refinish to match your vehicle’s paint job.